Immaculate Conception, Cleveland, will have an 8am Low Mass for the Feast of the Purification of the Blessed Virgin Mary on Saturday Feb 2. 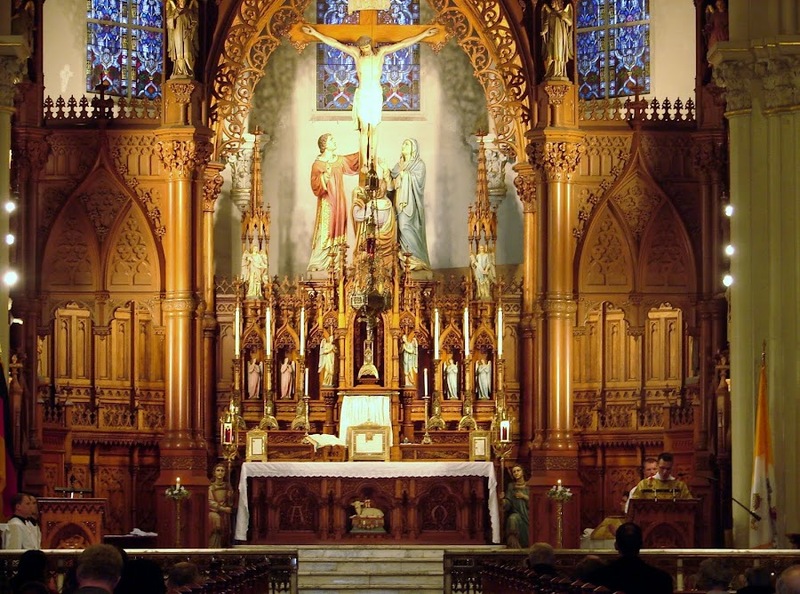 St. Stephen's will offer High Mass at 9:30am. Following Mass, fellowship will be offered in the club room. You are encouraged to bring a pastry or whatever you like. The Feast of the Purification is also known as Candlemas, referring to the special use of candles during this Mass, as the Christ Child is a light to the revelation of the Gentiles (Luke 2:32). 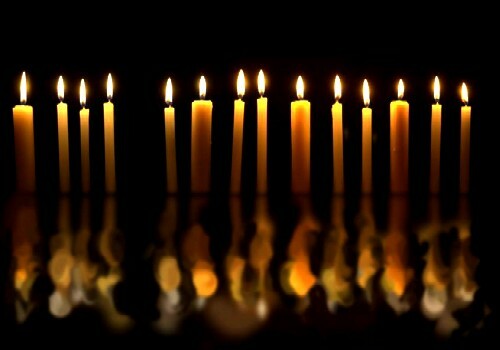 A great tradition is to bring candles from home to be blessed, at least 51% beeswax, which can be used for devotional practices at home. 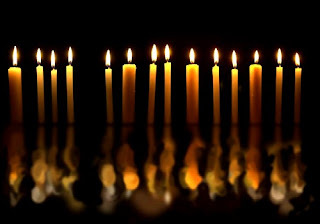 A few customs are to light them after dusk on All Saints Day, for the Sacrament of Unction, and during storms and other times of trouble. Before Mass, the priest will bless all the candles, and small candles will be distributed to the Faithful at the communion rail. Then a procession follows, through the church, with everyone holding a lighted candle, singing anthems. 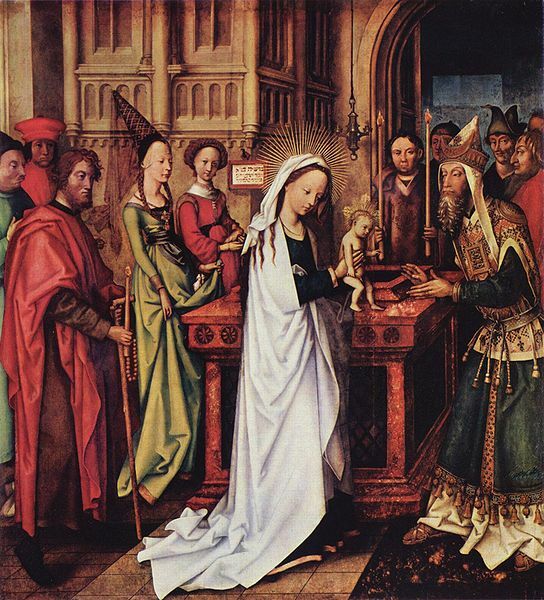 Mass begins, and the candles are again held lighted during the Gospel, and from the beginning of the Canon through the reception of Holy Communion. The U. S. Conference of Catholic Bishops has declared Tuesday, January 22, a National Day of Prayer and Penance for the Legal Protection of Unborn Children. There will be a special Latin Low Mass celebrated that day at Immaculate Conception Church in Cleveland at 6:30 PM. We failed to remind you that St. Stephen's also has the regularly scheduled Tuesday morning Mass at 7am. You can hear Holy Mass for the Protection of the Unborn in the morning if that fits your schedule better. A suggestion from a reader. Hello, Here are some easy New Years Resolutions to make. First, grab your new 2013 calendar and mark every 1st Friday and 1st Saturday of each month. Second read & print the following email so you are reminded of what you are supposed to be doing in this devotion (attach it to your calendar and reread it every new month. Third, forward this email to your friends/family and do these devotions together! Fourth, go online to read more about the important origins of these devotions and the promises attached to them! With the intention, in the heart, of making reparation to the Sacred Heart of Jesus for the sins committed against Him. Let us dedicate the month of January to The Holy Name of Jesus.